A leading HIV/AIDS researcher said the study is great news for stemming a public health emergency in sub-Saharan Africa where young pregnant women have some of the highest rates of HIV infection globally. 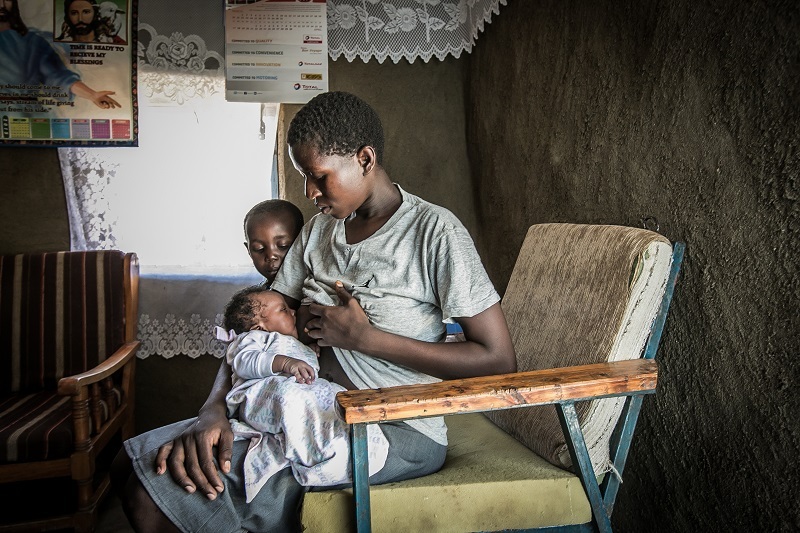 “The benefits of HIV prevention in pregnant and breastfeeding women and their infants in these regions, given the currently available evidence, seem to clearly outweigh the risks observed to date,” wrote Dr. Lynne Mofenson with the Elizabeth Glaser Pediatric AIDS Foundation in an accompanying editorial. Among adolescents in sub-Saharan Africa, 71 percent of new HIV infections are among females, said Mofenson. And, she noted, young woman in sub-Saharan Africa have the highest prevalence of adolescent pregnancy in the world (an estimated 101 births per 1,000 women aged 15-19 years). That compares to an estimated 26.6 births per 1,000 women in the United States,) according to the U.S. Department of Health and Human Services. The study is one of the first looking at the safety of pre-exposure prophylaxis or PrEP. Two antiretroviral medications – tenofovir disoproxil fumarate, also known by its brand name, Viread, and combination tenofovir/emtricitabine, also known by its brand name Truvada – taken as daily preventive therapy is known as PrEP. Researchers looked at 50 pairs of mothers and infants in Kenya and Uganda, uninfected by HIV, up to 24 weeks after birth. The mothers took the oral PrEP combination drug emtricitabine–tenofovir disoproxil fumarate for 10 days; drug concentrations were measured in breastmilk and infant blood. Although the study involved a small group of women and infants, was of short duration and limited to a single blood draw from infants, the findings indicate that drug concentrations are low in breastmilk and in infants’ blood, and that the risk of adverse events is therefore likely to be small. Lead author is Kenneth Mugwanya, a Ugandan physician and a UW senior fellow in epidemiology and global health. The International Clinical Research Center is involved in several large clinical trials evaluating the role of PrEP in substantially reducing the risk of HIV. The Bill & Melinda Gates Foundation is the primary funder of this study.